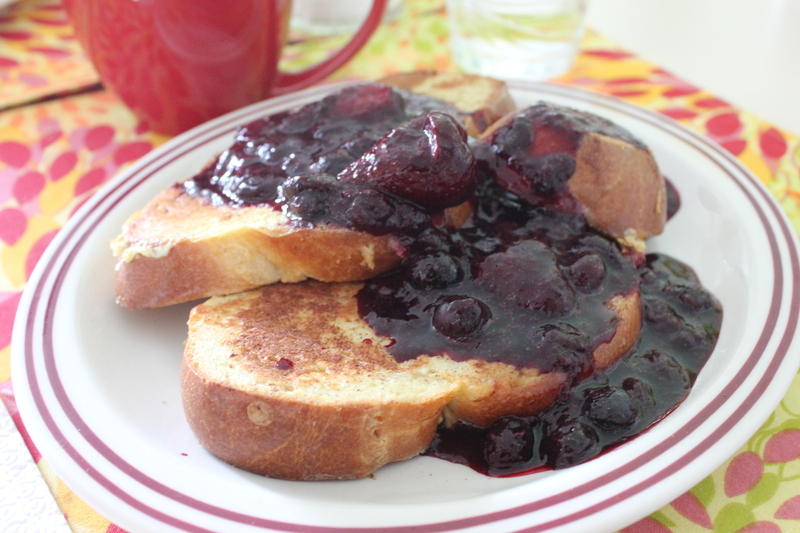 Can you really ever get enough French Toast? I’m happy to say that lately I’ve had quite the FT adventures. This semester I have been blessed to have made a new friend who is here studying abroad for a few months. We met because of a mutual friend, and it has been a true pleasure to show her my city and see everything anew through her eyes. One of our favorite activities has been going to brunch on the weekends. It has been fun to share this American activity with her and even more fun to sample French Toasts from all over the city. 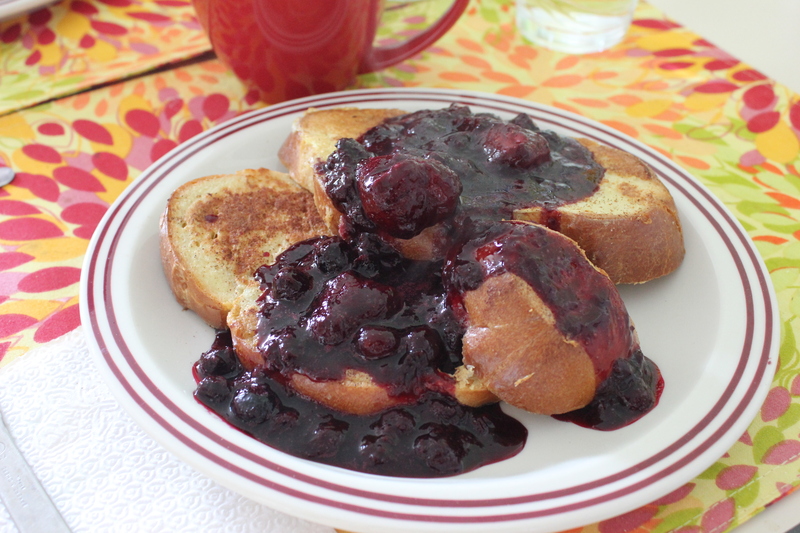 We’ve had PB&J French Toast, Brioche French Toasted, Stuffed French Toast and on and on. So it seemed only fitting that we should have French Toast for the last meal we would eat together before she went home. 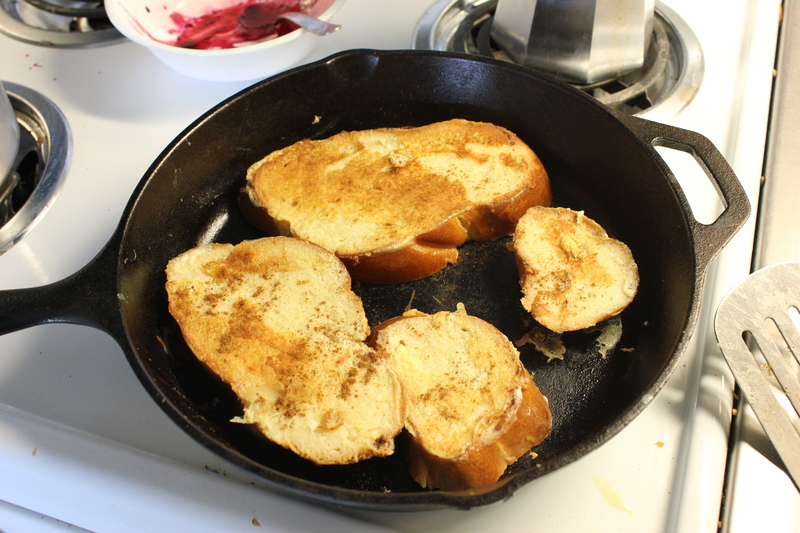 I like to make mine with Challah but brioche (or regular bread would substitute just fine). The compote takes the place of syrup for sweetness that won’t give you a sugar high afterwards. It’s easy enough to make while chatting and getting ready to say goodbye. 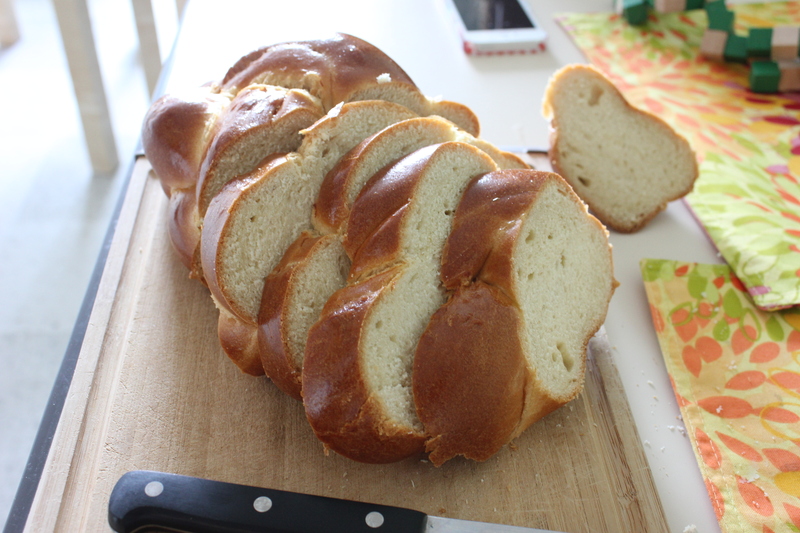 If you don’t have Challah bread you can use brioche or really any other kind of bread. Vanilla and cinnamon are optional – don’t let not having them stop you but use them if you do! 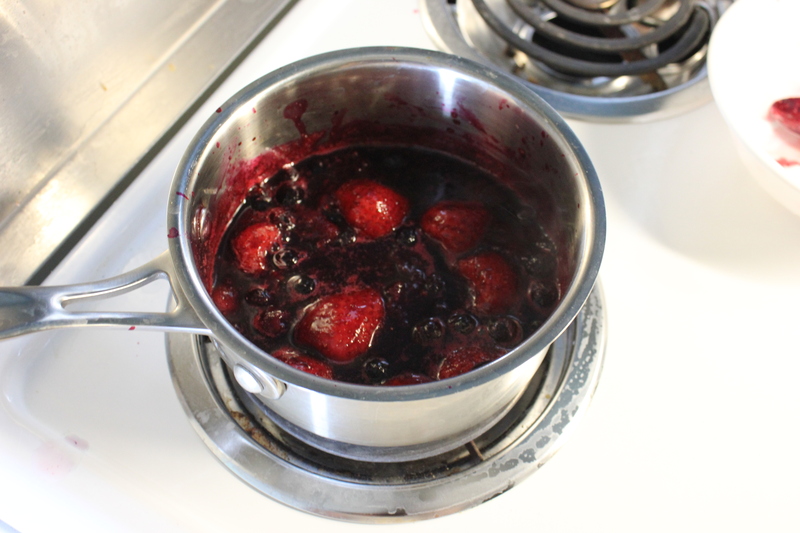 In a small saucepan, add half of the blueberries and strawberries, as well as about 2 tbsp water and all the sugar. Bring to medium low heat and let simmer for about 10 minutes. Using the back of a spoon gently crush the berries, you should have a rather syrupy mix. Add the whole berries and let cook for another 8-10 minutes until everything is warmed through and sweet. 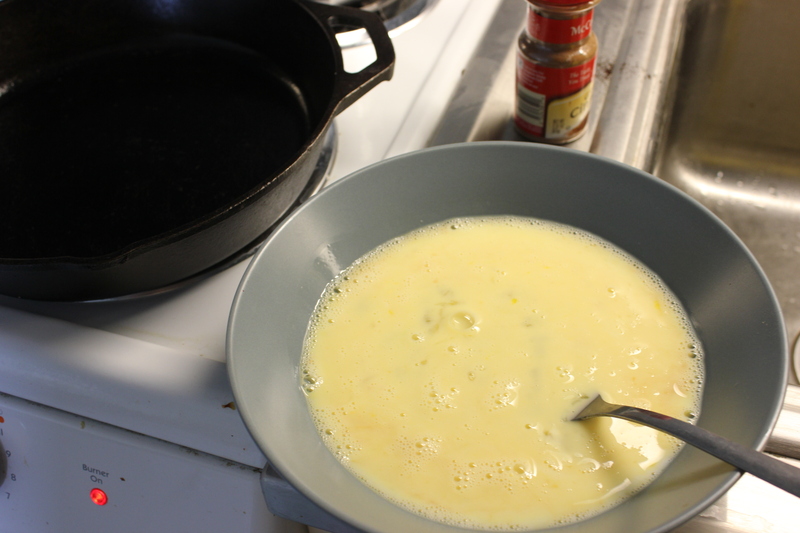 Meanwhile, mix together the egg, milk and vanilla in a shallow, flat bowl. Bring a large frying pan to medium heat, add a few tablespoons of butter to grease the pan (unless it is non-stick, then no need). Take a slice of bread and dip in the egg mixture, flip over and make sure that both sides get a good amount of the liquid mixture on them. Place into the pan and add a few shakes of cinnamon on top. Repeat with the other slices until the pan is full. You may need to do this in two batches. Cook for a few minutes until golden brown, then flip and cook the other side. Serve immediately. Spoon a generous amount of compote on top and enjoy!